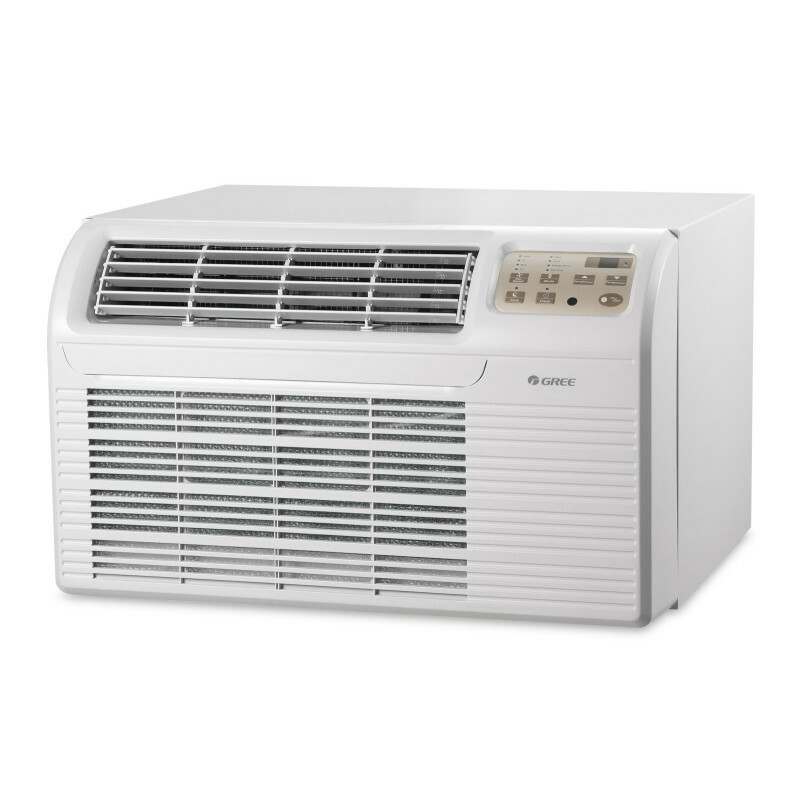 The Gree T2600 TTW is a wonderful air conditioner with a handy remote control feature. This 91-pound unit will require specific installation in the exterior wall of the room. It is 26 inches wide, 15.6 inches high, and 21.2 inches deep. This size will fit in most standard wall sleeves. The power cord is 96 inches long for your convenience. There is a nice feature on this system for property owners. You can set room temperature limits to save money with the Electronic Setpoint Limits. Don't worry if there is a power outage. Once the power resumes, the unit will automatically restart at the previous setting. The fan adjusts to three different speeds for maximum comfort. The Aero-Quiet Indoor Blower Wheel provides a very quiet setting so as not to disturb you. The digital and LED display makes this unit very easy to use. It operates at 9,000 Btus, 115 V, and 15 A. The Polymer Air Filter and Air Filter Alarm features make knowing when to clean filters and actually cleaning them a breeze. You can also set a timer on this unit from 0.5 to 24 hours to turn off or on automatically. Gree takes the latest technology and creates superior products for your comfort. For over 20 years, Gree has been producing affordable high-quality products and selling them straight to you. Why wait? There are more customers that trust Gree than other HVAC manufacturers out there. 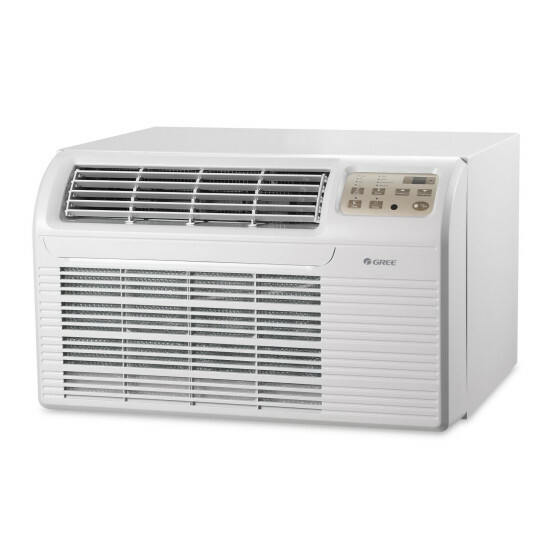 Buy your Gree T2600 Through-the-Wall A/C with 1.5 kW Resistive Electric Heat today.